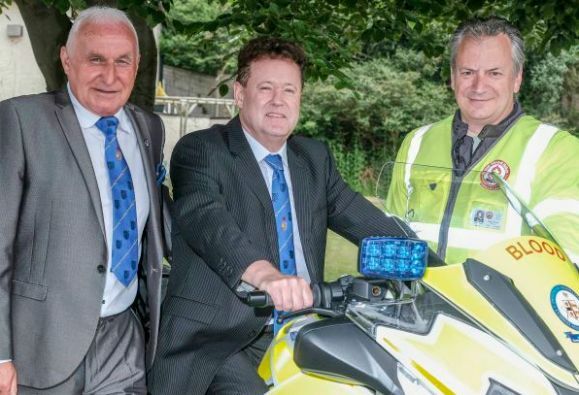 The courage and dedication of a fleet of motorcyclists has been highlighted by Freemasons in Cumbria. In May the area was shocked by the death of volunteer blood transport rider Russell Curwen. The blood biker died after colliding with a car in Lancaster, leading to an outpouring of grief and support from the local community. Three new motorbikes recently donated to the blood bikers by local provinces of the Freemasons has now been supplemented with a donation of £400, following the death of Mr Curwen. The donation was made this week to John Walker, a volunteer rider based in Barrow.